Here at J.B. Plumbing and Rooter, we understand that one of the most important machines in your kitchen is located just within the sink. Garbage disposals in homes are so ubiquitous, that one can’t think of doing without the device. Garbage disposal repair is always the first route to take, but if your disposal has gone beyond this point, J.B. Plumbing and Rooter also offer garbage disposal supply and installation. We highly recommend that you call us if any garbage disposal installations or repair needs. An inexperienced “do it yourselfer” could easily become injured while trying to perform a repair or installation. Instead of putting yourself or one of your family members in harm’s way, trust J.B. 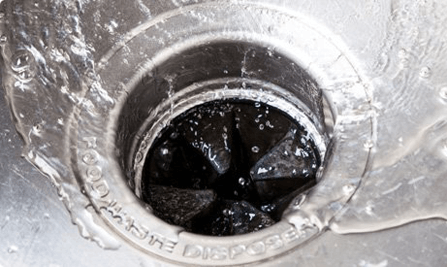 Plumbing and Rooter to repair or replace your garbage disposal. Our professional plumbers have worked with these appliances for years and they can safely and efficiently perform service on your garbage disposal no matter what your problem may be. So, if you are in need of a garbage disposal installation / replacement, call the plumbing experts at J.B. Plumbing and Rooter.